For patients suffering from the effects of chronic sinus pain and pressure, it may seem impossible to find relief. However, recent advances in ENT technology have allowed for a new breakthrough procedure that offers excellent results. The Allen Park & Southfield balloon sinuplasty procedure performed by our sinus doctor is safe, effective, and can expand the sinus pathways and repair drainage in the nasal cavity. At Detroit Sinus Center, Dr. Lascelles Pinnock is able to provide this minimally invasive procedure to our patients suffering from chronic pain due to sinus problems. Contact Detroit Sinus Center to schedule a consultation with one of our sinus doctors, and learn more about how we can help you find healing and relief from your sinus pain. How Does Balloon Sinus Dilation Work? 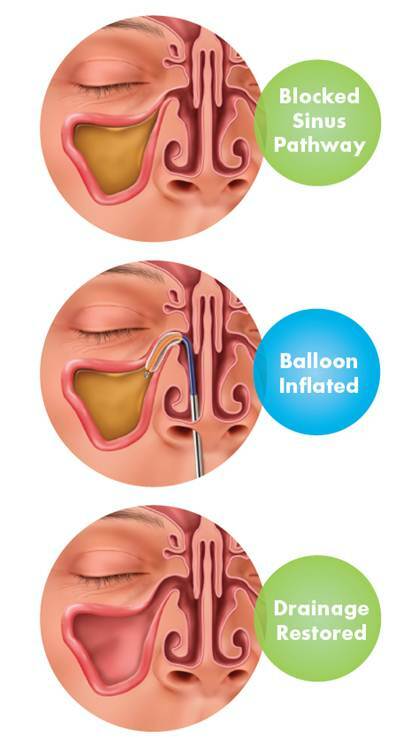 Our Allen Park & Southfield balloon sinuplasty procedure utilizes small balloons that Dr. Pinnock places in the nose and sinus region. These small balloons are gently inflated to expand the sinus pathway. This method has been proved to be safe and effective for many patients who find that medication is not effective for their sinus pain. Dr. Pinnock is board-certified and experienced in office balloon sinuplasty procedures. He has performed the procedure countless times at Detroit Sinus Center with excellent results from our patients. Contact our office today to schedule your own procedure and find lasting relief from chronic sinus pressure. 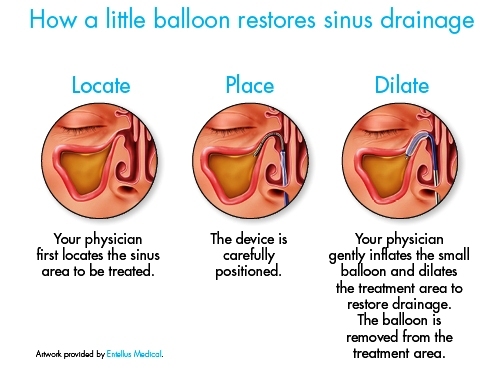 To learn more about Allen Park, Dearborn, Detroit, and Southfield balloon sinuplasty, give Detroit Sinus Center a call today.Our office staff is happy to help you schedule a consultation with Dr. Pinnock so you can learn more about the options available to you and make an informed decision regarding your medical care. We offer two convenient locations in Allen Park (313) 449-8871 and Southfield (248) 327-3344.